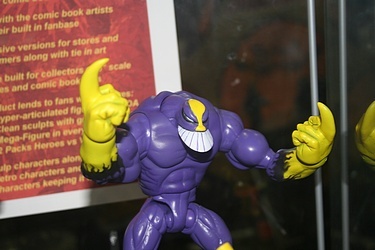 Our friends from Shocker Toys were back again this year, and were very proud to display the final carded pieces from wave 1 of their Indy Spotlight line! The figures looked really good, and they are continuing to push ahead with wave 2. Click the image for a full look at their booth.